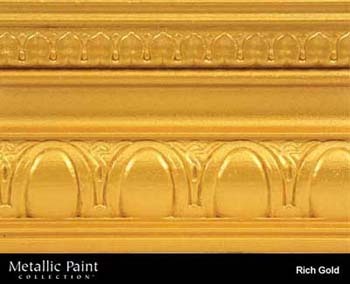 Paint Store :: Shop by Brand :: Modern Masters :: Metallic Paint Collection :: MODERN MASTERS ME701-06 RICH GOLD METALLIC PAINT SIZE:6 OZ. AMERICAN LINE 66-0377 WALL STRIPPER BLADE SIZE:4" PACK:5 PCS. DAP 18418 DYNAFLEX 230 PREMIUM ELASTOMERIC LATEX SEALANT BROWN SIZE:10.3 OZ PACK:12 PCS.